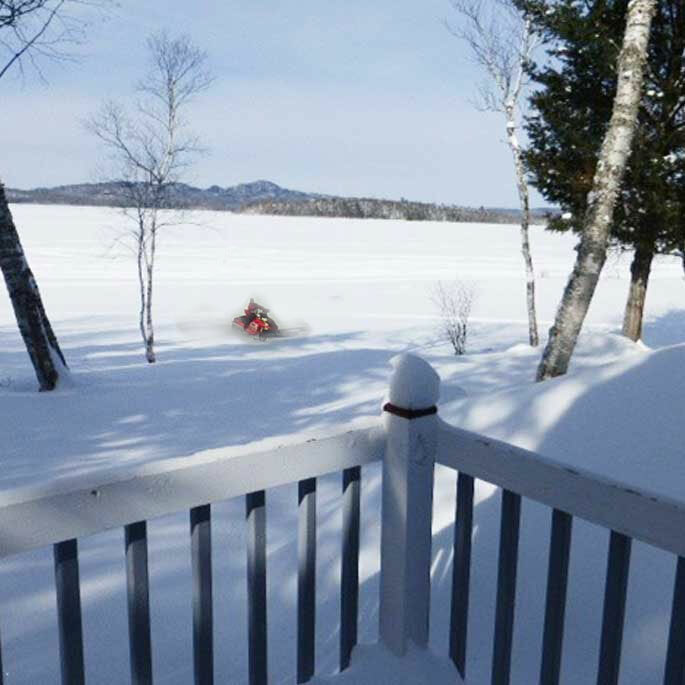 Snowmobiling is the areaâ€™s largest winter sport with miles of groomed trails through the great North Woods. 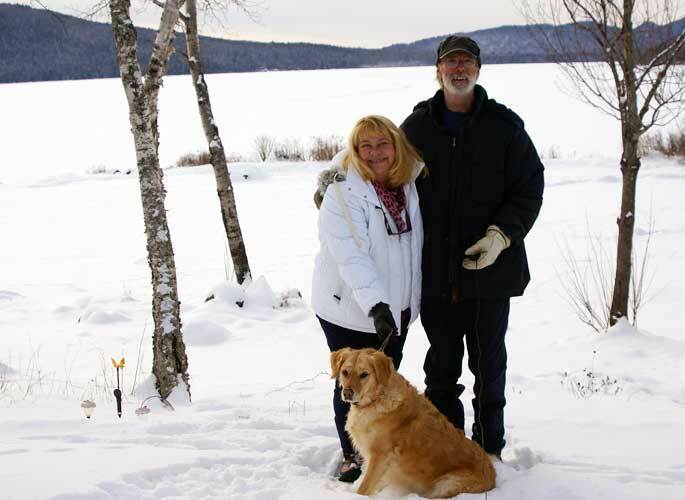 Take advantage of our extensive trail system in the Jackman region starting with ITS 89 which can take you from Rangeley to Canada and connects to ITS 88 to Rockwood, and to ITS 86 to Greenville and beyond. You will enjoy spectacular scenery and great places to stop for lunch along the trails, all accessible right from your cabin door. 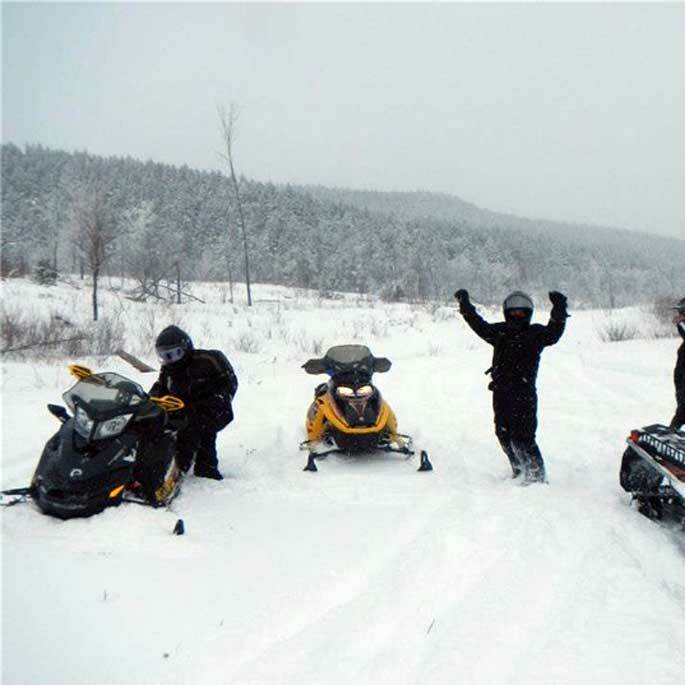 Registration: Whether you are a Maine resident or not, you must register your sled in Maine to ride in Maine. Forgot to re-register your sled? Easy to do this online or you can do it in town when you arrive. Trails: Please ride on marked trails where landowner permission has been obtained for all to enjoy. Snow Mobile trails in this area are groomed and maintained by the Border Riders club who can also provide you with more information. Trail maps are usually available by the 1st of January. Border Crossing: If you want to cross the border to ride in Canada, crossings are open 24/7. You must stop at customs and carry the same paperwork you would need to travel into Quebec by auto. 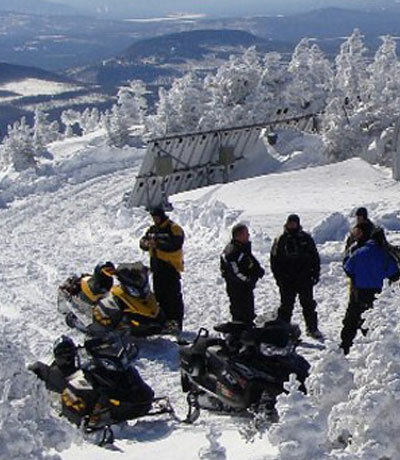 (Photo ID, Passport, Registration, Insurance) Contact the Quebec Federation of Snowmobile Clubs for more information. Rentals: If you do not have a sled of your own but want to try this FUN sport, you can rent one in town. Visit out resource page or visit the Jackman Chamber of Commerce Directory for more information. 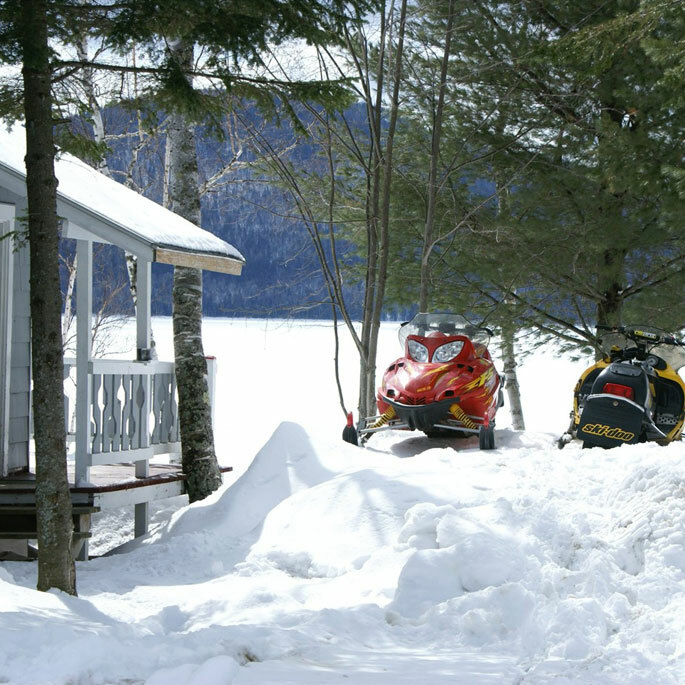 Save on Gas: If you book 2 or more reservations at Cozy Cove Cabins within a 45 day period, you can store your Snowmobile/ATV trailer here. Hurry! Space is limited. © 2019 COZY COVE CABINS All rights reserved.